A pond can be used to solve many drainage issues on your property, as well as a recreation area for your family. A pond will add value to your property and create habitat for many different kinds of wildlife. 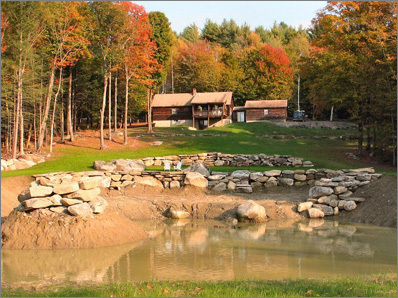 Northeast Excavating will work with you and the correct state officials to design and build the perfect pond.